Buying a used Audi; The Pros and Cons. 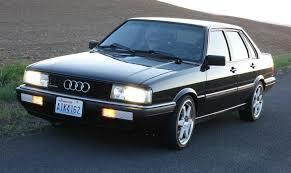 When you hear the name “Audi” you think of a stylish high-end luxury vehicle. For some people that means impressing their friends, for others, it might be a way to elevate their social status or maybe you’re just looking for the most reliable vehicle for your family to enjoy. No matter the reason, it could mean a price tag your pocket isn’t ready for. Buying a used Audi can be a tricky business, sure you might get a usually expensive vehicle for a more, agreeable price but is that deal really as good as seems? You may want to consult this list of the pros and cons of buying a used Audi.